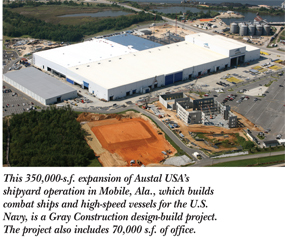 Gray Construction of Lexington is the design-build contractor for an 8560,000-s.f. Siemens plant in Winston-Salem, N.C., that will manufacture 280-ton gas turbines. Rare in the United States a generation ago, the design-build method of construction is increasingly popular, especially for military and industrial projects where function and financial efficiency outrank style and appearance. It’s the most significant trend in construction. Design-build now accounts for 40 percent of all U.S. construction with estimates as high as 80 percent for military contracts. It was used slightly more than 51 percent of the time for projects $10 million and up last year. Traditionally, to accomplish construction projects U.S. owners hire architects, engineers and building contractor separately and successively, an approach known as design-bid-build. The third approach is construction management: the owner hires a firm to vet and let project contracts and shepherd a project through its various phases to completion. In design-build, which began gaining serious traction about 15 years ago, one firm executes and coordinates all phases of a project. Its in-house team of architects, engineers and construction contractors or managers work collaboratively from beginning to end. The approach is building a strong reputation for bringing projects in on time and on budget, and with fewer disputes and lawsuits. The largest Kentucky design-build entity is Gray Construction of Lexington. Founded 50 years ago in Glasgow, the firm did its first design-build project in the 1970s, but truly developed its expertise in the 1980s after having been the only Kentucky general contractor in construction of Toyota Motor Manufacturing’s plant in Georgetown. That led to jobs building facilities for Toyota suppliers from Japan, where design-build was already the norm. Former company CEO Jim Gray – the current mayor of Lexington – was active in launching the Design Build Institute of America in 1993. DBIA today is the construction industry’s acknowledged resource for design-build best practices, education, certification and contract documents; it has thousands of members in 14 regions across all 50 states. 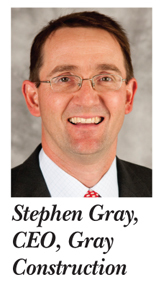 Meanwhile, current CEO Stephen Gray figured prominently in a Sept. 26 column by New York Times opinion page staffer Joe Nocera. He wrote that Gray Construction has its finger on the pulse of resurgent U.S. manufacturing – engaged in a building spree since mid-2010 of advanced technology facilities requiring fewer workers with higher skills. The Kentucky design-build pioneer has 22 active projects in various stages of development, Nocera learned as Stephen Gray gave him tours of two large jobs in North Carolina: a Siemens plant that will make 280-ton gas turbines in Charlotte, and an 850,000-s.f. 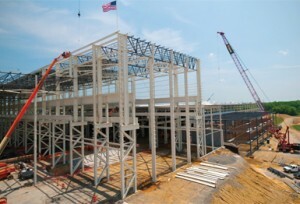 Caterpillar plant in Winston-Salem that will produce giant mining truck axels. Large production plants that need to be built well, on budget and quickly to begin manufacturing products and revenue are a stock in trade for design-build construction, said Tyler Cundiff, manager of business development for the food and beverage market with Gray. While the company does have two facilities in the works with price tags topping $100 million – which caught the eye of The New York Times – a typical project for Gray is more like $30 million, Cundiff said. It regularly does projects the couple of hundred thousand dollar range, sometimes as small as $50,000, among roughly 25 contracts it tends to work annually. About 90 percent are design-build jobs; the rest Gray works as construction manager. “Design-build has become very popular,” Cundiff said. Two factors drive that popularity, according to Shad Sletto, business development manager for Newport-based EGC Construction Corp. and president of the Ohio Valley region (Kentucky, Ohio and West Virginia) of the Design Build Institute of America. One factor is financial. Projects are completed more quickly and cheaply via design-build, Sletto said. The dollar figure established up front is likely to be the final cost. Money indirectly also created reason two: Today’s tight economy forces business to operate more leanly. Tasks and expertise formerly kept in-house – such as construction oversight – are outsourced, Sletto said. Fewer project owners today have detailed capital-project expertise. In the past, many owners could read blueprints and were familiar with construction issues, such as what roofing flashings and pipe diameters their project required, he said. Many had construction managers in house, and some large entities had better expertise than the contractors they were hiring. “The owner today does not have the knowledge of those drawings and those systems,” Sletto said. Last year for the first time design-build was used for a majority of all construction projects $10 million and up in value, according to RSMeans/RCD Market Intelligence, which measures industry activity. 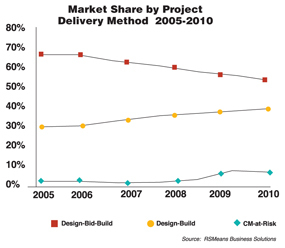 RSMeans reports show design-build steadily increasing market share the past five years. Among all non-residential construction, design-build is used 41 percent of the time. Over the past five years, the military used design-build for 80 percent of its projects on a dollar-value basis. Medical sector construction was measured at 45 percent design-build the past five years, commercial at 42-43 percent and industrial at 38 percent. “The true value of design-build is being able to seamlessly manage engineering, construction, quality, safety and relationships very effectively,” Cundiff said. Design-build is rooted in teamwork, partnering, flexibility and adaptivity, he said. An example: Cundiff conducted the interview for this article while traveling by train with a client in Germany. They were visiting a Munich equipment maker’s facility to learn how advanced meat-processing machinery that will be a key part of the client’s project in Florida is made and works. Gray Construction will incorporate what they found out into the final design and execution. Federal government construction was an early adopter of design-build, according to Kentucky construction officials active in DBIA. The Federal Prison System and especially its former procurement executive Craig Unger were leaders, said Monty Maynard, vice president of GRW Inc., a Lexington-based engineering, architect and planning firm with more than 250 employees. 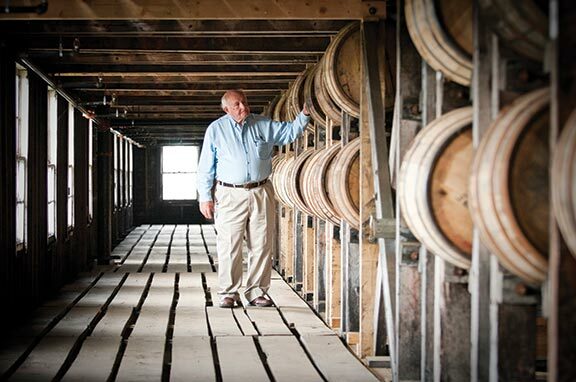 Maynard is immediate past president of DBIA’s Ohio Valley region of Kentucky, Ohio and West Virginia. During 26 years with the U.S. Department of Justice, Unger drove a Federal Prison System design and construction conversion from a basic low-bid system to an embrace of alternate delivery systems over the course of many projects, Maynard said. GRW worked a federal prison construction project in the early 1990s, Maynard said, and began seeking information about another. The upcoming project, however, was to be a design-build contract, and GRW had to learn what that was, he said. After learning how design-build projects operate, firm officials had to determine which contractors were capable of taking $100,000-plus jobs and what they were like to work with. They had to assess who would make good team members, Maynard said. Problems inevitably arise in the course of a construction project. 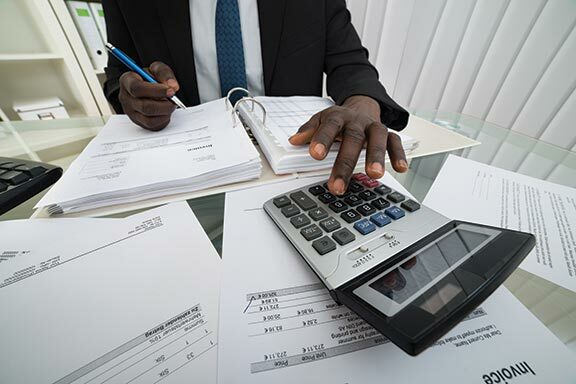 With separate contracts defining responsibilities at locked in dollars for architects, for engineers and for various contractors, resolving problems means the owner must preside over who gets more work and less profit. Because strong disagreements can become costly legal issues, contracts can be as much about avoiding liability as the work being delivered Construction contracts is a practice specialty in the legal services industry, and there are law firms that specialize in construction litigation. “The Federal Bureau of Prisons used to end up in lawsuits on every project,” Maynard said. That was a big reason Unger, an ex-Marine with an accounting degree and an MBA, undertook the shift to design-build’s team approach. Unger went on to become national DBIA president after he retired from federal construction oversight and remains a DBIA instructor/faculty member. Design-build is the default approach today for federal projects because there is less paperwork and projects are completed more quickly, according to Maynard. 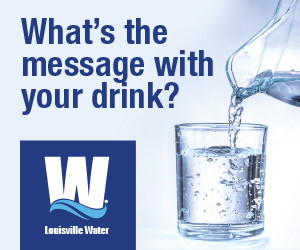 State and local governments have been much slower to adopt it, although municipal water treatment plant projects are often design-build, such as all those in recent years by the Louisville Metropolitan Sewer District. 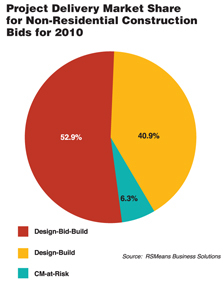 The work to prepare a design-build project bid is greater than for design-bid-build. Because bids commit to a total price for the finished project, firms must perform significant design work so they can then estimate costs. GRW typically invests $30,000 making a design-build bid for a $5 million to $10 million project, Maynard said. 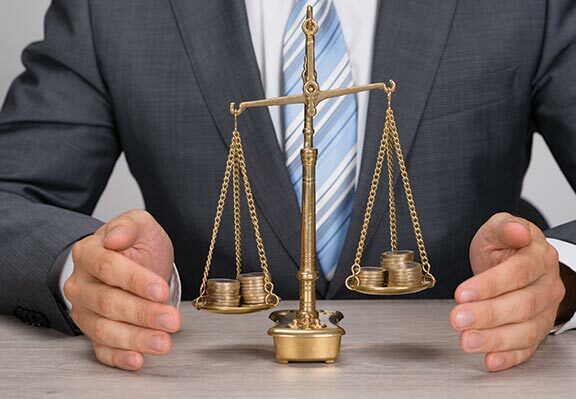 While owners often provide sizeable stipends to offset bidders’ up-front costs, bids that don’t win a contract cost a firm. GRW usually pursues 10 to 12 contracts a year and gets a couple of them. GRW spent $136,000 researching the work, designing a solution and pricing all the costs on one Louisville MSD project bid it made, Maynard said. Sewer and water treatment plants, which often involve complex systems, are a GRW specialty. However, the firm didn’t get the contract, and even after a $20,000 bid stipend GRW had $116,000 in net expense, its costliest non-winning effort. Design-build additionally requires skilled and experienced team members, Maynard said. To gain design-build’s benefits, owners have to trade more project control to the contractor than they do under design-bid-build. Design-build requests for proposals lay out needs, requirements and specifications – and can even set the budget. Contractors bid to deliver a facility that achieves those RFP goals at a specific price and a general design. To meet cost and time goals, however, the contractor team has latitude to adjust details as the project progresses and resolves issues. “Good performance is driven by good requests for projects,” Sletto said. For most design-build owners, Cundiff said, the bottom line is a big deal and project time is money. “For the right situation, it’s an excellent delivery method,” said Richard Vincent, executive vice president of Associated General Contractors of Kentucky, whose 700 members mostly do government contracts that do not use design-build. Though not directly experienced, Vincent is well familiar with its advantages. Though allowed, Vincent said most Kentucky local and state governments do not use design-build because stakeholders in projects funded by tax dollars “want to see full conceptual drawing of what they are going to commit to” before awarding bids.